Successfully saved Bacon Wrapped Chicken Bites to your Calendar. You can also save the ingredients to your Grocery List. 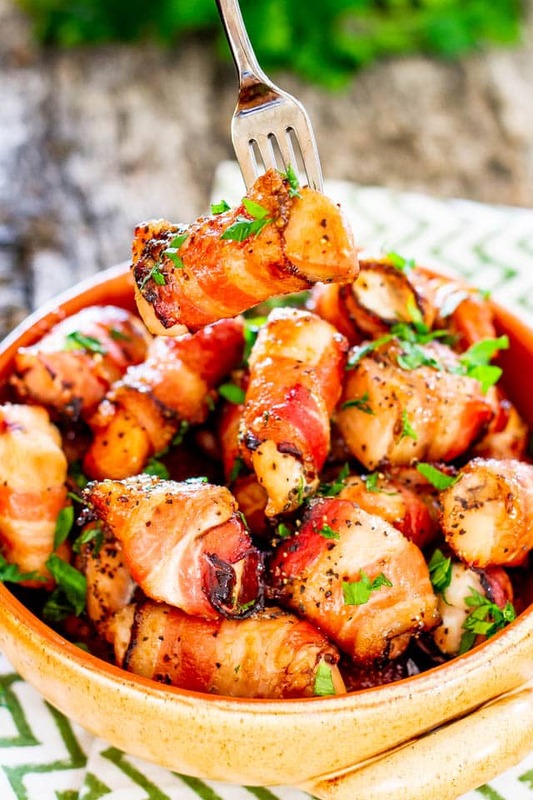 Bacon Wrapped Chicken Bites - Perfectly seasoned chicken pieces, wrapped in glorious bacon, rolled in brown sugar and baked to golden perfection. Need I say more?